The South African Constitution minces no words regarding access to medical care. At a time when the United States is engaged in an archaic debate over whether to even try and provide universal access to health care, most other countries well understand the absurdity of conditioning access to basic human needs—including access to healthcare, housing and education—on the ability to pay. That understanding was championed by Nelson Mandela, whose life and legacy is being honored this week by President Obama, members of Congress and leaders from around the world. 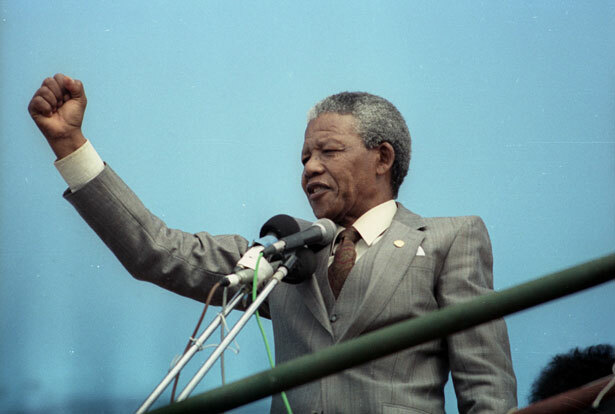 Fittingly, the memorials for Mandela will coincide with this week’s sixty-fifth anniversary of the adoption (on December 10, 1948) by the United Nations General Assembly of the Universal Declaration of Human Rights—a document that the former South African president revered as a touchstone for nation building and governing. Douglas Foster on the meaning of Mandela.